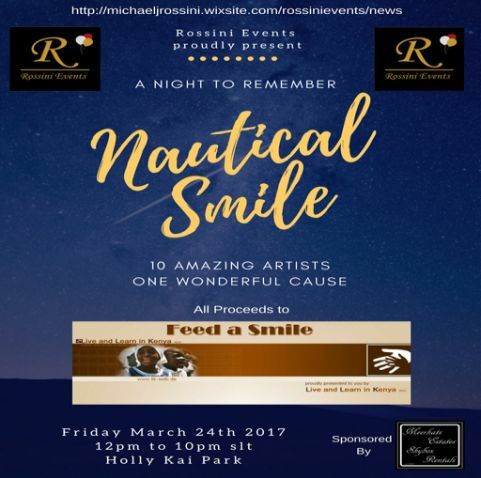 Organised and hosted by Rossini Events, Nautical Smile will take place at The Pavilion, Holly Kai Park, and will feature 10 hours of music starting at 11:00 SLT, and finishing at 21:00 SLT, with one hour sets from some of Second Life’s top DJs, and live performers. The live performances at Nautical Smile will include a “double Dutch” back-to-back paring of singers from the Netherlands, Thera D and Hedy Patrucci-Collazo, who will be appearing at 12:00 noon and 1:00pm respectively. They’ll be followed by Akilikos Singer at 2:00pm, and Sal from 3:00pm. The entire event is sponsored by Meerkats Estates. The event schedule at the time of writing is as follows. For updates and the latest news, please follow the Nautical Smile link above. All times SLT. Rossini Events was established in July 2016 – a collaboration between MichaelJ Rossini and Valeri Carissa organising private and public events in Second Life. Rossini Events especially prides itself on charity fund-raising, with monthly events supporting Feed a Smile, Relay for Life and Making Strides. To date, Rossini Events has raised L$240,000 for these charities. Everyone involved in Rossini Events donates their time free of charge, and every penny raised goes directly to the charity concerned. For further information, please contact MichaelJ Rossini in-world, or email to michaeljrossini-at-gmail.com.